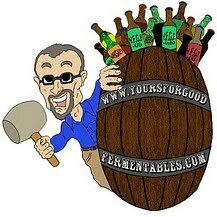 I received an email from Nick Matt, president of Matt Brewing Company about the status of his brewery after the fire. The fire and the resulting damage is presenting a variety of challenges ... but longer term we will recover fully and be better for it. The out reach from everyone has been overwhelming. In the photo, it's Nick Matt with fellow brewers at SAVOR in Washington D.C. in May. 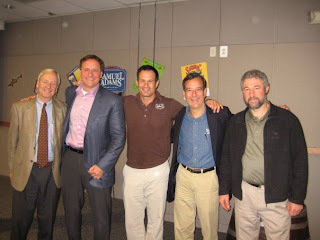 Left to right: Nick Matt, Rich Doyle (Harpoon Brewery), Sam Calagione (Dogfish Head), Jim Koch (Boston Beer), and Ken Grossman (Sierra Nevada). Photo courtesy of Jordan Utz, beer buyer for Whole Foods Market in Vienna, Virginia. Another Summer beer festival in NW Virginia! A-B vs. Interbrew: The battle is joined. 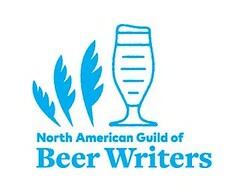 Will InBev's Bud hurt craft brewers? Can Clinton intercede for F.X. Matt?